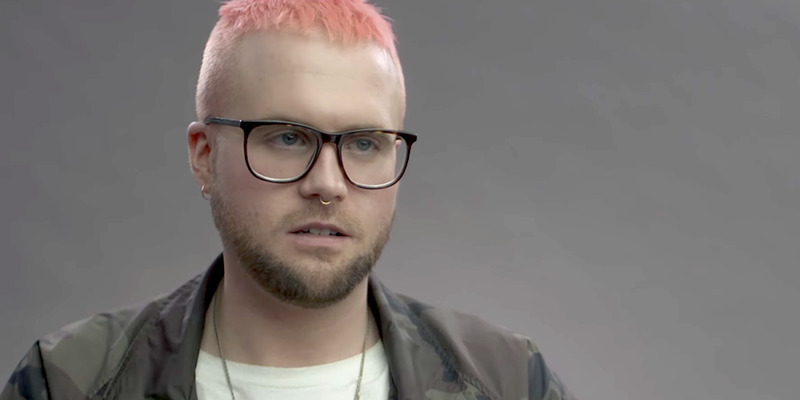 Christopher Wylie is the 28-year-old whistleblower on Cambridge Analytica, the data-analytics firm that played an important role in Trump’s 2016 campaign and the Brexit Leave campaign. Facebook says it is suspending Wylie’s Facebook account, despite his role as a whistleblower, as it carries out its investigation on Cambridge Analytica. Christopher Wylie, the 28-year-old man who both founded and blew the whistle on Cambridge Analytica, the data-analytics firm that played an important role in Trump’s 2016 campaign and the Brexit Leave campaign, had his Facebook account disabled on Sunday. Facebook suspended Cambridge Analytica from its platform on Friday, amid multiple revealing stories published in The New York Times and The Guardian over the weekend that included interviews with Wylie, who oversaw the conception and realisation of Cambridge Analytica’s tool that harvested millions of Facebook profiles illegitimately, to be used for various political campaigns in both the US and UK. In an interview published in The Guardian on Sunday, Wylie detailed how Cambridge Analytica harvested data from more than 50 million Facebook profiles between June and August 2014, even sharing a 2016 letter from Facebook’s own lawyers admitting that Cambridge Analytica “had acquired the data illegitimately,” and asking Wylie to delete the data. Despite reportedly having evidence that Cambridge Analytica had illegitimately collected user data, Facebook did not suspend Cambridge Analytica until Friday – more than two years after the alleged data breach from Cambridge Analytica was first reported, and four days after The Guardian reportedly sought comment from Facebook about the story. So, why did Facebook suspend Wylie’s account? Business Insider reached out for comment, and Facebook was not immediately available to respond. Facebook did say on Friday that it would suspend Wylie’s account – as well as the accounts of Dr. Aleksandr Kogan, a psychology professor at the University of Cambridge, and Strategic Communication Laboratories, Cambridge Analytica’s parent company – while it carried out its investigation. It’s unclear if Wylie’s account would be restored after the investigation ends. The full stories about Wylie, Cambridge Analytica, Facebook, and the roles they played in the 2016 presidential election are truly incredible and worth reading – The New York Times story, as well as The Guardian’s interview with Wylie and its story on the harvested Facebook profiles. And check out this video from The Guardian below, featuring an interview with Christopher Wylie.